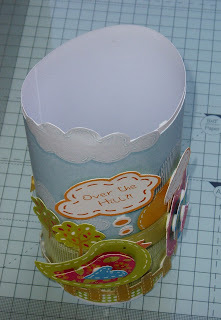 I created a sleeve from white card to fit around the bottle, then added the mini blue dotty paper leaving a white edge. 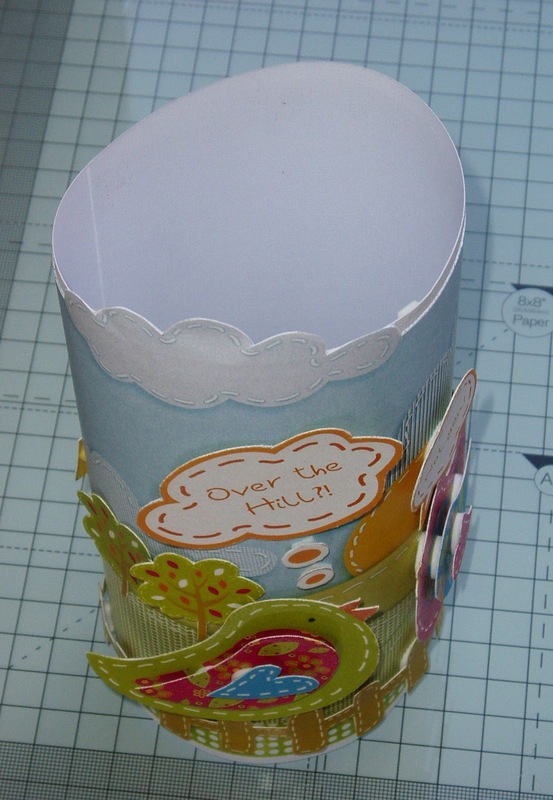 The field paper was stuck on top centrally, cutting around the top cloud to add some shape to the top. 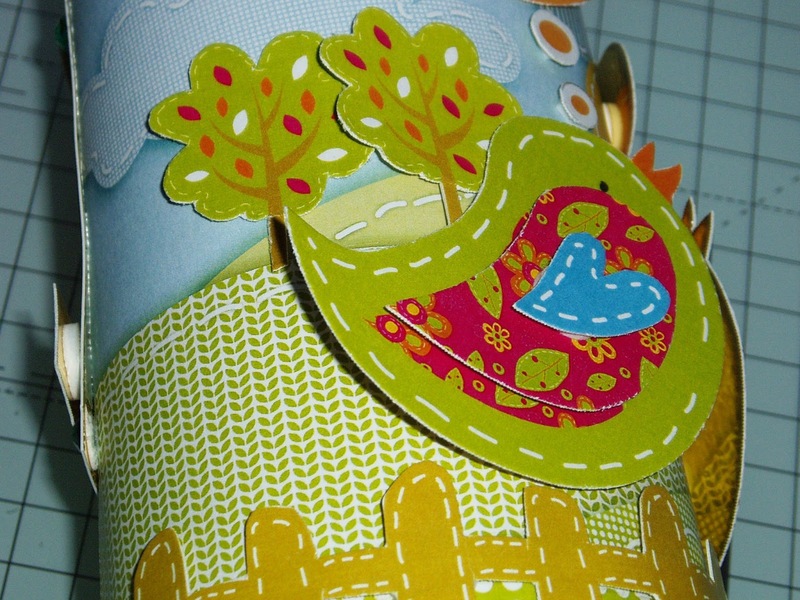 I then stuck a selection of the birds, sentiments, trees and fences onto more white card, cut them out and attached them to the sleeve using 3D adhesive dots. as a place to write your message. I also created a little sleeve to fit onto the bottle neck using the same techniques. I wrapped the paper ribbon around a pencil to achieve the curled effect. I hope this has given you a little inspiration. I would love to see what you think so please post a comment if you have time! What a great idea. Certainly beats putting it in one of those bottle bags. Lovely! Loving the new blog - it looks so clean and fresh! I have to say those downloads have been my fav this year. 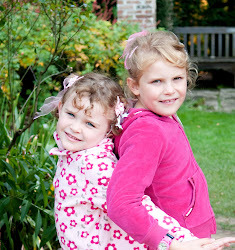 Was fab to work with them! Welcome to the group Jill and welcome to Blogland. 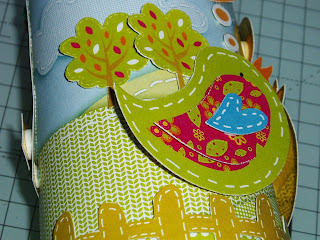 This is such a great idea - and it is fabulous - love the design and the great colours you have used. Look forward to seeing your future projects. Am now following you - maybe you would like to follow me too? Welcome to blogland and loving this project very much. Lovely colours and those birds are gorgeous. How lovely, so bright and colourful. amazing and vibrant and a brilliant gift. ....LOL! have become a follower too.